It is time to rejuvenate, time to refresh, time to chart a new course while taking advantage of all your previous strengths and talents. But new means change and means facing the unknown. 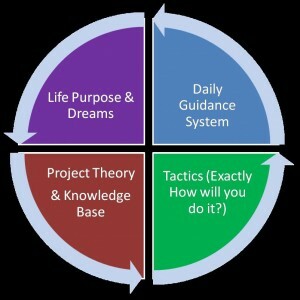 How will you explore the new, develop new knowledge, gain new skills, and build and maintain your sense of purpose? What if there were simple electronic tools to help you do this and training that shows you how to do it in a brain-friendly way? As a semi-retired neuroscientist, I built, placed and used electronic brain-computer interfaces to understand how the brain works. We really are in the age of cybertechnology, but you don’t need expensive equipment or software to use your mind more effectively. Simple visual mapping tools and other pieces of software can do a great deal to help you increase Efficiency and improve how you Learn, Remember, focus Attention, and develop Habits. So, congratulations on your goals for making changes for yourself, your friends & family, your community, your career – whatever it is that you feel is most important. Write a book, create a business, what excites you? This is where we will start – what do you want, where are you now, where do you want to be, etc. Introductory training includes 4 sessions of 3 hours each. You choose how the 12 hours of instructional/exploration time is used while I ensure that we cover all of the basic principles and that you meet all of the challenge exercises within the training.